EVERYTHING YOU NEED TO HELP SCORE A PERFECT 5. 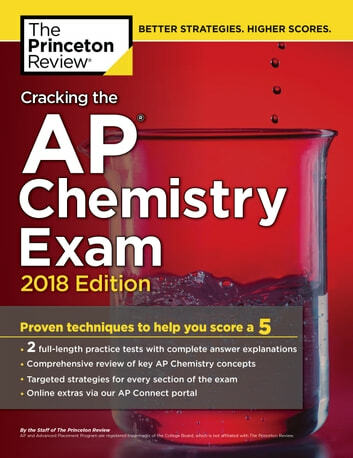 Equip yourself to ace the AP Chemistry Exam with this comprehensive study guide—including 2 full-length practice tests, thorough content reviews, access to our AP Connect Online Portal, and targeted strategies for every section of the exam. 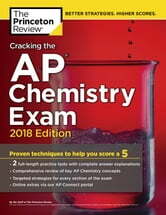 Written by Princeton Review* experts who know their way around chem, Cracking the AP Chemistry Exam* will give you the help you need to get the score you want. This eBook edition is optimized for on-screen learning with cross-linked questions, answers, and explanations.